Since 1958 the Rotary Club of Sedona has been an integral part of Sedona’s community of cooperation. Community service is at the core of Rotary International’s goal and the Club’s purpose of Service Above Self. In 2016 a Satellite Club in the Village of Oak Creek was formed. With over 20 members in less than a year, Sedona Village joins in many of our traditional club services as well as adding several projects and services of their own. Each year the Club initiates community improvement projects and sponsors a variety of fund raising events to support them. 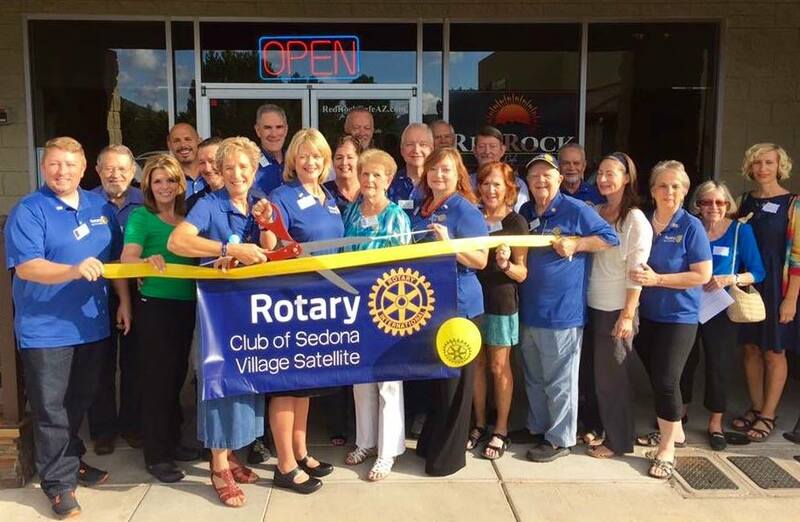 The Club proudly links with other community agencies to meet identified needs within the Sedona community and worldwide through Rotary International. Youth Education and Development is a major Club focus. Each year the Club works with the faculty and parents of Sedona’s Red Rock High School to recognize nine outstanding senior students with College scholarships totaling $3,000. 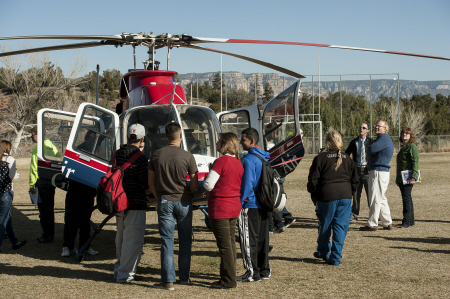 During the school year the Club co-sponsors Red Rock High School’s Career Day and honors high school teachers with a Teacher Appreciation Brunch. Junior high school students are also selected and sponsored to participate in the Rotary District’s 5490 annual Rotary Youth Leadership Awards camp held in Prescott, Arizona. The Club provides support and guidance to the Rotary Interact Club at Sedona’s Red Rock High School. More than eighty students participate in this youth service organization. The Interact students volunteered 7,100 hours to community projects in 2011. Through Sedona Village the club is supporting the transition of Big Park School to an International Bacheloriate School. Club sponsored Rotary Exchange Students from throughout the world have been part of the Red Rock High School student body for many years. Rotary also sponsors Sedona area students for an educational year abroad with Rotary families. Rotary’s Imagination Library program provides free books for Sedona area pre-school children. The program was created by Dolly Parton in 1996 and has since distributed over 40 million books to pre-school children. All enrolled children will receive a free, age appropriate book monthly until their 5th birthday. On a regular basis, Club members don aprons as chefs and chef’s helpers to prepare and serve Community Dinners at St. Andrews Episcopal Church. Quarterly, Club members can be found on Highway 89A West of Sedona cleaning up trash. The ADOT Adopt-A-Highway project has been ongoing for more than twenty years. Annually members join in the holiday spirit by volunteering as bell ringers for the Salvation Army Drive. The Club received a Rotary International Cooperation Award recognizing its leadership efforts to bring clean water to the people of Mosiro, Kenya. A new water project to extend clean water lines in Mosiro was completed in 2011. 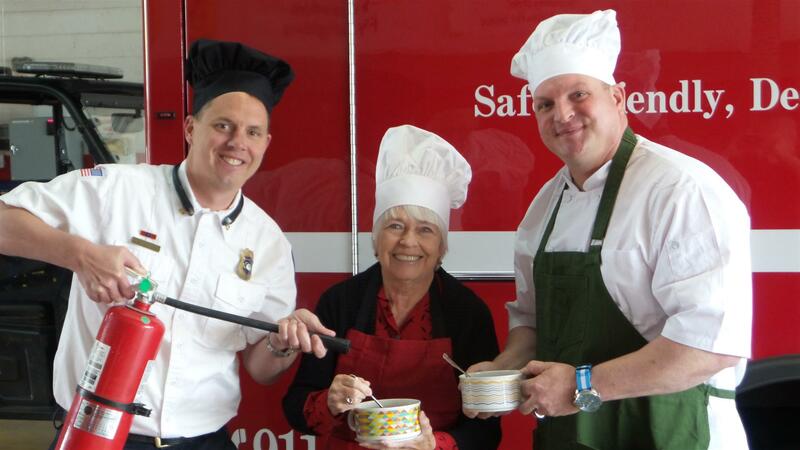 For fun and profit the club holds the annual Great Sedona Chili Cook-Off at Tlaquepaque Arts & Crafts Village.